The following retirement quotations could be used in your Retirement Speech - or combine them with some Retirement Jokes. 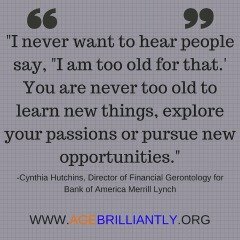 Some are funny retirement quotes that I have used myself - and others are wise in the way that they suggest you consider planning for retirement in a manner true for you. Enjoy! Forever, and forever, farewell, Cassius! If we do meet again, why, we shall smile; If not, why then this parting was well made. William Shakespeare. When one door closes, another one opens, but we often look so long and regretfully at the closed door that we fail to see the one that has opened for us. Alexander Graham Bell. 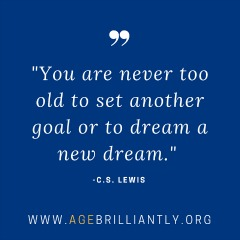 Two things are necessary for a happy retirement, much to live on, and much to live for. If only you could sell your experience for what it cost you, you could retire in comfort. Nor does food come to the wise, or wealth to the brilliant, or favor to the learned; But time and chance happen to them all. Moreover, no man knows when his hour will come. So men are trapped by evil times that fall unexpectedly upon them. When a professional golfer retires, what does he do? Retirement is the period when you wake up in the morning with nothing to do, and go to bed at night and its still not done. When a man retires and time is no longer a matter of urgent importance, his colleagues generally present him with a watch. R C Sherriff. Life is full of misery, loneliness, and suffering--and it's all over much too soon. 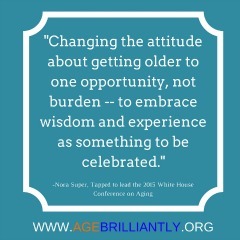 I love the way these people in late maturity redefine what it means to be older and enjoy active retirement. 'At a time when he should be consulting an undertaker. ' From his autobiography Time Added On. George Hook, age 68, one of Irelands best known radio presenters got his big break at 57. Derek Davis, 61, announcing his retirement after 40 years in broadcasting. While strength and years permit, endure labor, soon bent old age will come with silent foot. It's the worst feeling ever when you stop. Young lads who get bad injuries and have to stop early, I don't know how they cope, how do they deal with it? I was lucky I got to play for so many years, and it was still hard to stop. "Id love to develop a career in the media but I'm open to business opportunities. I'd love to get involved in sports management, looking after the welfare of sports people." Time is hard to fill, days are hard to fill, but I'll get there. The hardest thing for me since I gave up is that I used to be in contact with the lads all the time. Alex Ferguson, arguably the greatest ever Premier League manager, in an interview with LEquipe, admits that he has stopped asking himself the retirement question.